And we have to drink wine everyday just like we eat food everyday!! Hard to believe that it’s November and November means it’s time for our good friend Jed Steele to pay us a visit. Jed is the only winemaker that we do an annual dinner featuring his wines at our favorite restaurant in South Florida Café Maxx. It has been since the year 1990 when he was working at Kendall Jackson winery, which also just happens to be the first wine dinner that I ever participated in. Jed was the one that got me started down the path of these AWESONE wine events that we do on a weekly basis now. We salute our best friend in the wine business- come out and taste the newest releases from the man of Steele and experience a five course tasting menu pre-pared by Chef Oliver Saucy. The fee for this dinner is $100 + tax + gratuity, for reservations call 954-782-0606. For those of you that can’t make it we have included all the wines from Steele that are available on this offering. We also have this week’s menu at the Wine Bar at the end of this e-mail and there are still a few seats left at our vintage madeira tasting on Friday night as well as a few for the Laurent Perrier Champagne tasting on Saturday, for the complete line-up of wines and the menu check out www.winewatch.com. The very first time we ever saw Jed Steele he was plying his trade in the summer of 1979 for tiny Edmeades Winery in the laid-back Anderson Valley of Mendocino. We didn't realize then that he already had a wealth of experience behind him - his first job in winemaking was back in 1968 in the cellars of Fred and Eleanor McCrea at Stony Hill. In those days we thought Stony Hill was the best Chardonnay produced in America. Hard to believe that Jed has been making wine in a period that spans five decades. He has probably made more volume of fine wine than any other single winemaker in California - certainly nobody understands the many diverse microclimates of California Chardonnay better than he. Back in 1983 Jess Jackson, the founder and proprietor of Kendall-Jackson, knew exactly what he was doing when he hired Jed. Jackson decided to launch his venture with one of the very best talents in California. Throughout the 1980's Kendall-Jackson and Jed Steele amazed us with an incredible array of high quality offerings - reserve Chardonnays, Zinfandels, Cabernets - even late-harvest Rieslings - that were as good as any produced in the state. All the while, the winery churned out ever-increasing numbers of the "Vintner's Reserve" Chardonnay; during the Jed Steele era Kendall-Jackson's production of that wine soared from 9,000 cases to three quarters of a million cases annually. Despite the enormous critical and commercial success, somewhere, somehow...things went sour between Steele and Jess Jackson. There were rumors well over two years before Steele left the organization that he was unhappy with the corporate direction at Kendall-Jackson. Things had just become too big for him. According to Steele, "There certainly is a degree of power and professional prestige in turning out six figure boxes of good Chardonnay annually, but there is something about the days at Stony Hill that I felt I needed back. The touch, the feel, the intimate contact with the wine is necessary to me as a winemaker in the practice of my craft. I had lost this intimacy at Kendall-Jackson." In August of 1990 Steele agreed to wind down his relationship with Kendall-Jackson and signed a consulting deal for $400,000 with Jackson. Jed would train the new winemaker and provide for an orderly transition. On May 30, 1991, Jackson canned Steele and refused to pay the last $275,000 of the consulting contract. Steele sued and Jackson countersued in what was one of the most acrimonious trials ever seen in normally serene Lake County. The combatants traded bitter charges and occasionally snapped at one another outside the courtroom, according to Santa Rosa's Press Democrat, which covered the trial. Jackson won on his counterclaims that Steele interfered with Kendall-Jackson grower relations during his term of employment by negotiating grower contracts for the new Steele wines. Furthermore, Jackson won on the charge that Steele had wrongfully revealed a "secret process" for making Chardonnay to Steele's new employer, Stimson Lane. Stimson Lane, owners of Washington State's Chateau Ste. Michelle and Columbia Crest, are determined to turn their Napa Valley property, Villa Mt. Eden, into one of Kendall-Jackson's major competitors. Steele is now consulting with them to help them one day reach that objective. The successful "secret process" counter charge was the most sensational news that came out of the trial. At first many observers scoffed at the countercharge that there could be such a thing as a "secret process" in an industry noted for its openness and free exchange of ideas. When Kendall-Jackson's claim was upheld, many felt that it would have a chilling effect on the future trading of information among vintners. Steele, incidentally, won the right to his additional $275,000; but observers labeled the trial a "draw", considering the fact that Steele had to pay damages. Although Jess Jackson tried to paint the struggle between himself and Steele as a battle between a small, family-owned-and-operated operation (Kendall-Jackson) and a huge, multi-national company (Stimson Lane is owned by U.S. Tobacco), one could not help but be amused by the irony. Kendall-Jackson is no small peanuts - this winery (though family owned) is an aggressive, major player in the California wine scene. The little guys here were Jed and Marie Steele - good, modest folks with no well-heeled backers and only Jed's good name on the bottom line of the bank notes. Despite being embroiled in a sensational trial, Jed Steele moved forward to open his own winery and get back in touch with wine. 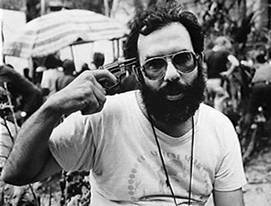 His first vintage (1991) debuted in 1993 to exceptional critical acclaim. 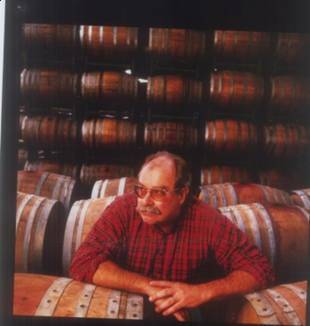 Steele bottled a Chardonnay with a California appellation that was an amalgam of four of Jed's favorite vineyards; he also produced small separate bottlings (less than 200 cases of each) from several of those vineyards. That first year Steele also took a big leap into the Pinot Noir business - a surprising move because he had never made Pinot Noirs at Kendall-Jackson. It was probably more serendipity than design. The opportunity arose at harvest's end in 1991 to get some superb pinot noir fruit from the Durell Vineyard and the Sangiacomo Vineyard, and Jed seized the moment "just a little scared by it all." The critical response to Steele's 1991 Carneros bottling and 1991 Sangiacomo bottling was extremely positive and encouraged him to make Pinot Noir an important part of his portfolio. (Steele now produces six different Pinot Noirs). With the 1992 vintage Steele introduced his first Pinot Blanc from the famed Bien Nacido Vineyard in Santa Barbara (source of some legendary Chardonnays from Au Bon Climat and others). The first four vintages have been some of the finest Pinot Blancs produced in California. The Wine News selected both the 1993 and the 1994 as "Best of the Year". The recent 2004 is again outstanding. 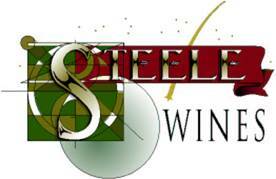 In the last several years, Steele has added additional wines to the portfolio. Beginning with the '92 vintage Steele began producing about 1000 cases of Zinfandel from the Pacini Vineyard in Mendocino, and the winery has released a DuPratt Zinfandel from the 1993 vintage. Jed first made Dupratt Zinfandel in 1974; his 1987 Kendall-Jackson Dupratt Zinfandel was the finest Zinfandel we have ever tasted and one of the greatest wines Jed has ever produced. Zinfandel, we might add, is Jed Steele's favorite wine. Steele now produces excellent value wines under a second label called Shooting Star - Steele's middle name is Tecumseh, the Indian Chief who was said to have drawn good luck from being born under a meteor of shooting stars! From an idea born in the Land Down Under we proudly unveil our newest creation, Black Bubbles. Always on the lookout for something different, Jed Steele’s son Quincy discovered sparkling Shiraz, an Aussie tradition, while working at the D’Arenburg Winery. Bringing home the idea of a Northern California version inspired Jed to formulate a unique Syrah blend from some of our finest contracted vineyards in Lake County. The Pacini Family planted this vineyard in 1940 on the western foothills of the Mayacamas Mountains in Mendocino County. This beautiful old vineyard is head-pruned as are most Zinfandel vineyards of the era. Steele Wines purchased the vineyard in 1996 from the Pacini Family. Since then we have been refurbishing the vineyard and replacing vines in the positions where the old vines have died back. The location of the vineyard prevents us from irrigating or frost protecting due to the limited water supply. This provides for the intense flavors and aromas in this Zinfandel. The Red Hills appellation in LakeCountyi s a new AVA (American Viticultural Area). The iron-rich, red soil of Red Hills is laden with obsidian, a glassy black volcanic rock that glistens in the afternoon sun. Well known NapaValleygrape grower Andy Beckstoffer bought up a piece of the Red Hills AVA, planting it in Cabernet Sauvignon and other Bordeaux varietals with which he is very familiar. We have been receiving clone 6 and clone 37 grapes from Andy since 2002. While we are not known as a Bordeaux/cabernet kind of winery, we tend to make more Chardonnay, Pinot Noir and Zinfandel, our location in Lake County allows us to produce several of these varieties in styles which would make our neighbors to the south a bit jealous. This vineyard grows exceptional quality Merlot and Cabernet Franc. Our vineyard lays on a gravelly bench, which overlooks the Big Valley area of Lake County. The fruit from these vines have a great balance of flavors, structure and tannins. Stymie was a famous racehorse in mid-twentieth century American history. Stymie was known for never giving up the lead when he gained it. He was notorious for this, in fact, that the horse callers brought the word back into the English vernacular by calling out “They’ve been stymied again! !” whenever he pulled ahead. In 1950 Jed’s father, a newspaperman, wagered a bet on Stymie that paid off well. So well, in fact, that the winnings financed the Steele family’s move from New York City to San Francisco. As a tribute to the horse and to Jed’s father, our Stymie label is reserved for rare, small production wines of the highest quality we produce. Vineyards The grapes used to craft the Steele Stymie Merlot were grown by Floyd and Jolene Silva until we purchased their property in 2005. Known for quality fruit we've named this vineyard Steele Stymie bench Vineyard which located on a gravelly bench overlooking the Big Valley area of Lake County. An ideal location for growing Merlot vines. Winemaking We use our typical Merlot warm fermentation on this wine. The wine was aged for 30 months in a hand-selected lot of French and American oak barrels. Because of the quality of the grapes, we chose to craft a rich, generous style of Merlot from this exceptional fruit. Total production of this wine is just 250 6-bottle cases. Tasting Notes Stymie Bench Vineyard typically yields a Merlot with a rich, deep red color and firm body, exhibiting aromas of chocolate, jammy fruit, tobacco and pepper. The palate reveals a rich, well-structured wine with layers of ripe red currants, anise, chocolate-covered cherries, a peppery mid-palate, and just a hint of coffee. This high-quality fruit produces an excellent, long-lasting finish and smooth tannins. It’s a perfect “special occasion” wine and pairs well with big hearty foods. Exceptional with any full-flavored dish, such as any preparation of lamb or beef, steaks, grilled venison chops or ragout. You will be missing out if you don’t try this Merlot with chocolate. The unique growing conditions of Lake County provide a few places to grow Pinot Noir. We have selected a Pinot Noir clone (Clone 32) that is the latest ripening clone in every California Pinot Noir clonal trial. The late ripening nature of clone 32 allows the fruit to ripen in the later (October), and cooler part of the season, keeping on par with the early ripening Dijon clones of Carneros. This is the first vintage of our Pinot Noir grown in Lake County. We selected 2 Big Valley sites suitable for growing Pinot Noir, Lyon Vineyard at the foot of Mt. Konocti and Dorn Vineyard on the banks of Kelsey Creek both contribute different flavor profiles, that balance each other well. The Lyon vineyard provides structure and rose petal scents. The Dorn vineyard gives to the blend strawberry flavors and soft tannins. We are always on the lookout for classic varieties planted in ideal locations. Here the red volcanic soils, ample sunshine, almost no fog and the 1500 foot plus elevation and cool night temperatures, all add up to a wonderful place to grow red grapes. We harvest Merlot from two growers: Dorn and Stymie Bench (aka Silva) Vineyards. The Dorns have the most dramatic vineyard in Lake County. Perched on a hollow on the northwest corner of the dormant volcano Mt Konocti, you look down 1000 feet to the lake and see a perfect circle in Dorn Bay: an ancient cinder cone. The Stymie Bench vineyard is a manicured jewel on the bench land near Highland Springs Reservoir, close to Lakeport. The soils are great and the vines really produce some of the best fruit we have ever seen from Lake County. This wine is very similar to the wines that I tasted in Austria more than 25 years ago. Unlike other Steele and Shooting Star red wine bottlings, our Blue Franc receives little, or no, oak aging. Some liken our Blue Franc, depending on vintage, to Pinot Noir in lighter years and Zinfandel in the riper vintages. Sometimes it is totally akin to a top-flight Gamay from Beaujolais. The wine is clean, crisp, and unpretentious with tons of fruit, including warm berry pie, complementing the traces of pepper, almond, cherry and cinnamon. Our Shooting Star Blue Franc has soft tannins, medium body, great color and is the perfect red wine to enjoy over the summer with any festive occasion. Here in Lake County the red volcanic soils, ample sunshine, almost no fog, the 1400 foot plus elevation, and the cool night temperatures, all add up to a wonderful place to grow red grapes. We harvest Cabernet Sauvignon for Shooting Star from three growers: Dorn Family Vineyards, Shannon Ridge Vineyards and Robin Hill Vineyards. The Dorn vineyard is perched on a hollow on the NW corner of the dormant volcano Mt Konocti. Robin Hill Vineyard owned and managed by Jeff Lyon is less showy but the soils are great and the vines really struggle but produce wonderful fruit. Shannon Ridge Vineyard sits over 1600 feet above elevation on the northeast area of Lake County. Warm days and cool nights are ideal conditions for this site. For the Shooting Star Zin, we seek a fresher, fruitier style when compared to our old-vine Steele Zinfandels. We sourced the fruit for this Zinfandel from our famed Pacini Vineyard as well as the popular vineyard of Lolonis. Both vineyards are inland Mendocino County with Pacini Vineyard located in Ukiah and Lolonis in Redwood Valley just north of Ukiah. These vineyards drain well, have excellent exposure, and are not overly fertile. The oak is light and the tannins soft, this wine shows with aromas and flavors of dark cherries, ripe red raspberry, finishing with notes of brown sugar. We age the wine in French oak barrels for 12 months of which about 10% are new. The wine is fermented in a stainless steel tank, and smaller fermentation bins as we utilize both cool and warm fermentation temperatures with these vineyards. We fermented this wine using native yeast. The fruit for the Petite Sirah comes from Clay Shannon’s vineyards in High Valley. This high elevation, cooler climate vineyard produces a little leaner Petite Sirah compared with lower elevation sites.